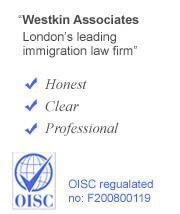 How can Westkin assist with your appeal? 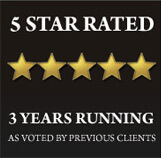 We specialise in appeals and only select the most experienced barristers to represent you at your hearing. If you have received a negative decision on an application we can advise and assist you with the next steps. We will look through any refusal letter and provide frank advice as to the merits of an appeal or any re-application. Our lawyers will provide strategic advice on what options and next steps are available to you. On this page you will find information pertaining to appeals and and tribunials as well as videos detailing our experience in dealing with appeals. Do you have a right of appeal? The first thing to do when you receive a refusal letter is to ascertain whether or not you have a right of appeal. It is a common misperception that a right of appeal is automatic with every refusal. A refusal will only carry a right of appeal if it is an ‘immigration decision’. Section 82 of the Nationality and Immigration and Asylum Act 2002 defines what constitutes an immigration decision. Usually, but not always, your right of appeal will be clear from the refusal letter and the Home Office will enclose all the relevant appeal forms. To appeal your negative decision you will need to fill out the appropriate appeal form and send to the First Tier Tribunal. Please note, there may also be a fee to appeal. It is usual practice to enclose the refusal letter with the appeal form. You will need to choose whether you would like an oral or paper hearing. Westkin advise clients, unless the case is exceptionally simple, to always opt for an oral hearing. Although you will not be required to submit supporting evidence at this stage, you will need to draft grounds of appeal. Essentially, these are the reasons for which you believe the decision by the UKBA or Entry Clearance Officer was flawed. When the Tribunal has received your notice of appeal, they will send you a date for the oral appeal hearing. When preparing for your appeal you will be required to draft statements and compile a bundle of documents which you intend to rely on. It is always advisable to instruct a barrister to represent you at an appeal. At the hearing you will have the opportunity to present your case and also cross examine the Home Office. The Home Office will have a representative who will present the case for them. An Immigration Judge, who is impartial, will hear and ultimately decide your appeal. You will be asked questions by your own representative first, then your representative will have the opportunity to cross examine the Home Office representative. The hearing ends with submissions. The Home Office will attempt to persuade the Immigration Judge to dismiss the appeal. You will have the last word and will be allowed to state why the appeal should be allowed. At the end of the hearing the Immigration Judge usually reserves his/her decision and a written determination will be sent within 4-6 weeks.